oday we unloaded some more hay from the hayloft in the morning (we figure there is hopefully only 3 more loads (60 bales) left)! 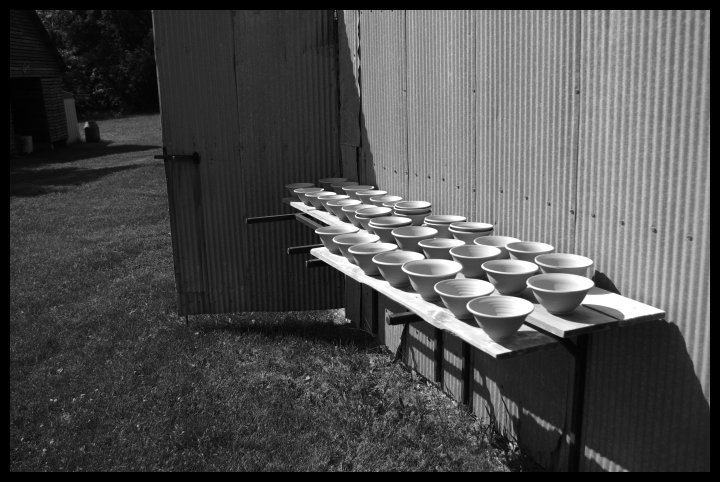 I also loaded my small electric kiln with the Bouja bowls above that I threw this last weekend, with my friend, the potter Mike Ziomko. Mike has helped found several Empty Bowls events around the cities starting with the Powderhorn Park Empty Bowls in his own neighborhood. Thanks to Mike for the fantastic bowls he threw!